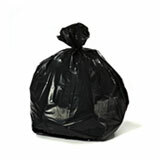 Trash bags are not a major concern for a company, organization, or an individual. That's how it should be. Your focus, energy and time should be on your growth and success. Not on a product that is barely ever seen, and is tossed away without thought every week. 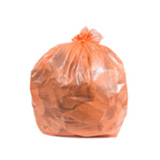 The only time you notice trash bags is well, when problems arise. Like a delivery that doesn't arrive, leaving you scrambling to find replacements to keep your environment clean and professional looking. And, you’ll certainly notice when the bag doesn't perform as promised and rips. A heap of trash strewn about is absolutely the last thing anyone ever wants to see. At Plasticplace we understand all too well the very minimal role our products play. 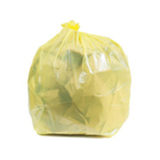 And, we aim to keep it that way, we go to great lengths to ensure clients never experience any problems from the ordering process through the performance of the bag. 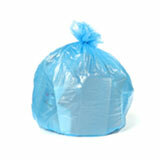 We strive to make our service and bags so problem free, clients practically don't know we exist. We're doing a darn good job. We've been in business 35 years and we have a 5 star customer rating. Customers love our service and products - indeed we have a bundle of testimonials verifying that. 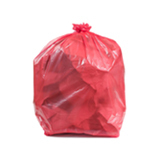 Everything we do is designed to keep clients from experiencing any frustration from their trash bags. We pride ourselves on our clients achieving 100% peace of mind every step of the way. So they can focus on growth and success, and not on us. Plasticplace. The Peace of Mind Company. Our goal is to guide you through our inventory to help you choose the right bag for the right job. To that end, we place your needs first. And if we can’t help you, we’ll be honest and tell you. You see, we want what’s best for you and we’re here to help you find the right bag, no matter where it is. From the first time you call to the moment you receive your order, you’ll experience professional, personal service. 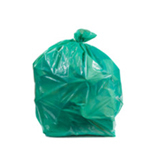 When you call, you’ll speak with someone who knows garbage bags inside and out and can help you choose the perfect bag for your needs. 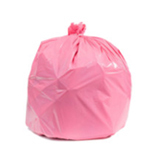 At the core of our business are top-rated, high quality trash bags currently made right here in the USA and overseas. Our products are held up to our high standards to make certain you receive the best product on the market at the best price. To top it all off, we deliver some of the most competitive pricing in the industry. To help you further, we offer bulk discounts and can discuss multiple payment options. When you shop with us, you can rest assured you’re receiving the right bag…for the right job…at the right price. Delivering your order to your door as fast as humanly possible is our mission with every order. To accomplish this, we’ve established three distribution centers across America in Lakewood, New Jersey; Sparks, Nevada; and Atlanta, Georgia. This multi-warehouse approach allows for faster delivery, often within one day, since your order can ship from the warehouse that’s closest to you. Your satisfaction is our number one priority. For this reason, we’ve put together a team of friendly, knowledgeable people to serve you and ensure you receive first-class service. Plus, we offer a 100% satisfaction guarantee. If for any reason you are not completely satisfied, we will do everything we can to set things straight. Have comments or suggestions? We’d love to hear from you! 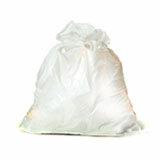 Please send an email to info@plasticplace.com or give us a call at 877-343-BAGS (2247). 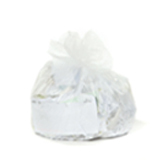 For trash bags, there’s only one place…Plasticplace!